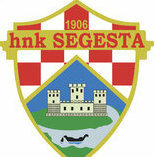 Bilboka Athletic Kluba, (as they say in the land of Basque), is a professional football club in the Basque Region of Spain. They are known as "Los Leones" (The Lions), because their stadium was built near a church called San Memes (Saint Mammes). Mammes was an early Christian thrown to the lions by the Romans. Mammes somehow pacified the lions and was later made a saint. The club is one of 3 founding members of the Primera Division who have never been relegated from the top Division since it's inception in 1929, (the other 2 being Real Madrid and Barcelona). [Editor] Let's see about that shall we! The club is known for it's "cantera" policy of bringing young Basque players through the ranks, as well as recruiting players from other Basque clubs. Athletic's official policy is signing professional players native to or trained in football in the greater Basque Country, which includes Biscay, Gipuzkoa, Álava and Navarre (in Spain); and Labourd, Soule and Lower Navarre (in France). Since 1912, Athletic has played exclusively with players meeting its own criteria to be deemed as Basque, and has been one of the most successful teams in La Liga. This can be seen as a unique case in European football; it has gained Athletic both admirers and critics. The club has been praised for promoting home grown players and club loyalty. The Basque rule does not apply to coaching staff however, with several examples of non-Basque managers both from Spain and abroad having coached the first team. A little light reading to get you in the swing of all thing Athletic. While Bilbao might have a Basque-only philosophy, they are certainly not the only Basque club. 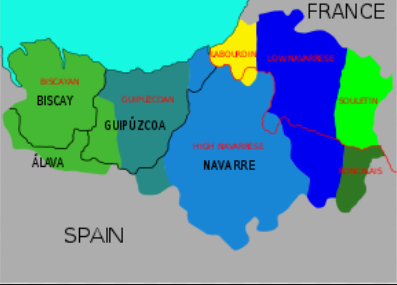 Alaves, Eibar and Real Sociedad are other Basque clubs in la Liga, so it will be interesting to see how easily they part with their Basque home-grown youngsters if and when I come calling. 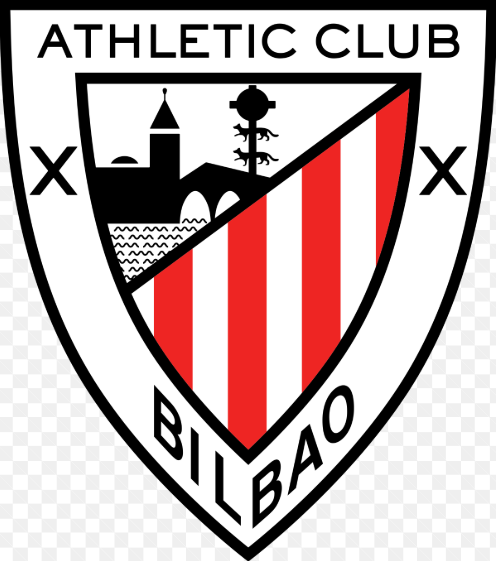 In recent years, Bilbao have become unpopular with the other Basque clubs as a result of them offering financial inducements in order to entice Basque players away from other clubs, and I think you can expect more of that from me. 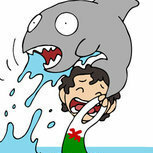 The flip side of that however is that in recent years Bilbao have sold players for HUGE sums. First glance. A.Bilbao. Jul 2018. Wow, there is a lot to take in here. First things first, the squad seems ageing to me, which wasn't what I was expecting at all, but then again I couldn't have told you the name of a single player yesterday so I'm not really sure what I was basing that opinion on. They might be old, (and a little on the small side for my liking), but I have 3 perfectionists in the squad, (which I am really impressed by even if there are no Model Pro's). with regards to personalities and tutoring, (yes I'm still going to be going on about that), well the way that tutoring is done has changed and rather than 1 senior player tutor 1 junior player, the players are put into groups of at least 3 players and.... well I'm really not sure. I've created 2 different Groups to start with. Group 1 is called "Perfect" and consists of 2 experienced Perfectionists and a 23yo GK who is (F.Det). Group 2 is called "F.Pro" and consists of 2 experienced (F.Pro) players and a 21yo DC who is (F.Det). I wanted to play Catennacio, (as mentioned in the title), but i don't think we have the squad for it at all. What I see is some decent wide players, a 37yo TM, (who I love by the way), and some decent wide players both in defence and attack. As a result I have immediately dispensed with Catenaccio as the "Primary Trained Tactic" and promoted the other 2 tactics. The one that seemed to best suit us, (at a glance remember), is this one. We will be starting with that and see how we go. I went for the Catenaccio initially because I was quite enjoying dabbling with defensive strategies over the last week or so, but also because when considering who to manage the other day I noticed that in real life we are 17th of 20 in la Liga. That made me expect a period of struggle, but I have walked into a meeting today with a Chairman that wants me to achieve Continental football by the end of the season. That might be ok for the likes of @Makoto Nakamurabut I would be highly surprised if I get anywhere near it at the 1st time of asking. With that in mind, I don't even know if we are playing in Europe this season. [See, I really am clueless] No. we aren't in Europe this season, which is probably a result. We have loads of players at the club, (119 to be exact), and I'm feeling a little lost at the moment. While we have loads of players at the club, and seemingly some decent personalities, what we don't have is loads of PA.
We have 1x 4.5 PA player. We have 9x 4.0 PA players. I'm hoping that some of these PA ratings might be adjusted, but if that's what it is then that's what it is. 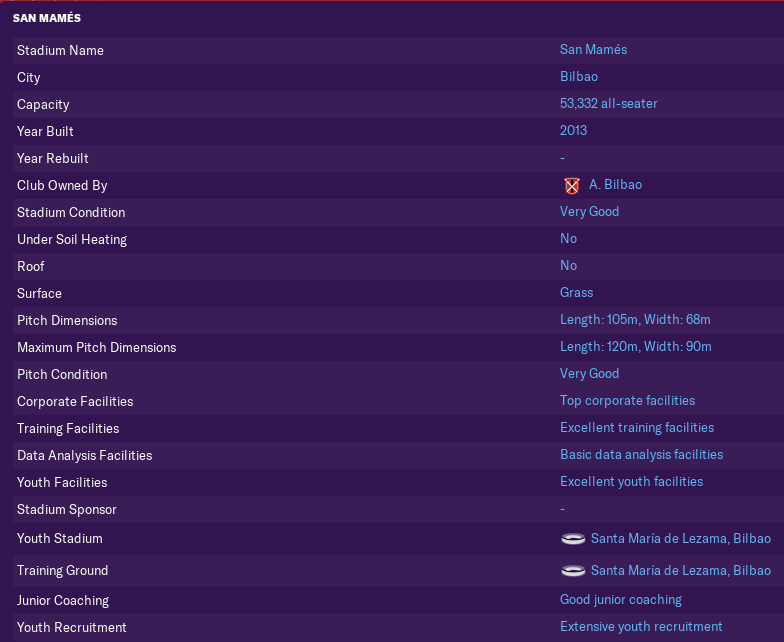 I have to remember that I'm no longer doing a Youth Only save and instead I am able to scout the other Basque clubs and nick their young talent, (and I plan on nicking it very young indeed if I can). Individual Training Confusion. A.Bilbao. Jul 2018. I am trying to set up Individual Training for (16) Unai Núñez (F.Det) *. The position I want him training in is Defender (Centre) and he is already Natural in that position. but I can still set that instruction. The role I want him training in is Central Defender and I can ask him to do that. The duty I want him training in is Stopper, but for some reason I seem restricted to training him in a Defend duty. New Philosophies. A.Bilbao. Jul 2018. I'm going to need to get the facilities cranked up a bit. I have no idea what they currently are, but looking at what I have at the club, (1x 5.0 player), I think it highly unlikely that it will make for pretty viewing. (Either that or the HoYD is..... not very good). The philosophies should allow me to successfully request the upgrades that I want. Ok, well that's better than I was expecting. Extensive Youth Recruitment is level 19-20, (so possibly maxed out already). Good Junior Coaching is level 14-16, (so still a little room for improvement there). Excellent Youth Facilities is level 18-19, (so no priority investment required there). Excellent Training Facilities is level 18-19, (so again, no priority investment required). Junior Coaching should be easy(ish) to get up, so things are looking decent as far as the facilities are concerned. We've got almost £29M in the bank and the Chairman is going to let me have £22.5M of it. That seems pretty generous to me. I would love to instantly go out and splash the cash and bring in some talented kids, but I'm not really sure where the weaknesses are in our squad yet, (other than support to the ageing TM), so I'm just holding fire until I have a clearer lay of the land. I would also love to sell some of the more highly valued elder players just so long as I have a younger candidate suitable of stepping up. If I can generate some more cash then I would certainly look to being in some youngsters. Something that has surprised me is the actual amount in the bank and available. If we sold Kepa to Chelsea for £72M, where is the rest of the cash? We also sold Laporte to Man City the previous season. Where has that money gone? Going back to it, (because I have just thought of it), there used to be 2 different ways to tutor a player. You could tutor just the personality, but you could also choose to pass on PPM's too. How do we do this now? I suppose I should track who has what PPM at the outset then. (07) Mikel San José (F.Pro). (16) Unai Núñez (F.Det) *. So does anyone have any predictions or even suggestions as to what will happen with regards to this new tutoring? I have absolutely no idea what you mean! Striking Options. A.Bilbao. Jul 2018. We don't have a great deal of depth in the squad, but where we are really really REALLY short is up front. A Team. The following graphic would seem to suggest that we have a few different options up front, however I would like to direct you to the "Best Position" column, which indicates that actually only 1 of the 5 players on the list is actually a striker. Aritz Aduriz (Perfect). I think this bloke looks great. The only issue I have is that he is 37yo and I'm worried that either his legs will go in spectacular fashion, or he will get injured and his legs will go in spectacular fashion. Either way, I think his legs will go. That being said, since he re-joined us in 2012 for a paltry £2M, (what a bit of business that was by the way!) he has played 30+ games every season and was scoring at a pretty decent rate until last season. He is going to be instrumental in the success or failure of our season. If he does well, we do well. Raúl García (Perfect) is a bit of a strange one in that he's a very decent footballer, but he's a AP and we don't need him. 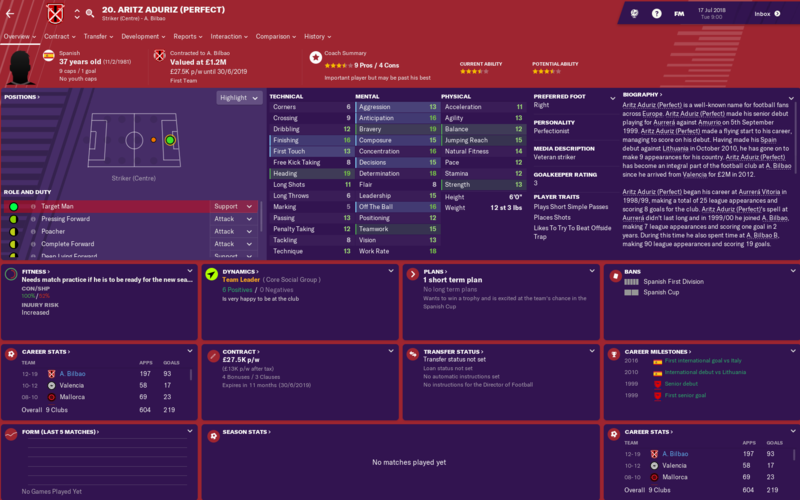 I'm going to be forced to shoe-horn him in to some sort of attacking role and at the moment I'm thinking that possibly a Pressing Forward is the best option because he hasn't really got the pace for a SS role. He's probably going to play a lot of games, and if the TM gets injured then he's going to play them all. Williams (F.Det) is a pretty raw but decent right winger, (1st choice right winger that is). He's not a striker but theoretically he could do some sort of job there, (but I don't want him to). (13) Córdoba (Bal) is left winger and while he is ok, he's not special and wouldn't get near a Premier League team. At a push he might be press-ganged into service up front as an AF. Sabin Merino (Bal) is 2nd choice left winger and probably a little better than I realised actually. Again, he might be able to just about do a job up front, but if he plays many games up front them we are not going to have a good season. B Team. There are little bits of quality here and there in the B Team, but there is nobody in there that I want to promote and sit on the bench for example. C Team. The only thing of note here is that Youssouf Diarra already has a Primary and a Secondary Nationality, but I can assure you that he is also Basque. U19 Team.Yes (17) Rubén Azcona (Bal) looks to have some potential, but he doesn't have the physical ability to play in la Liga. You will have to excuse me for not going into more detail about who the B and C Team are and where they play but the truth is I don't know yet. When I know, you will know. At the moment I have more pressing concerns. New signing. A.Bilbao. Jul 2018. 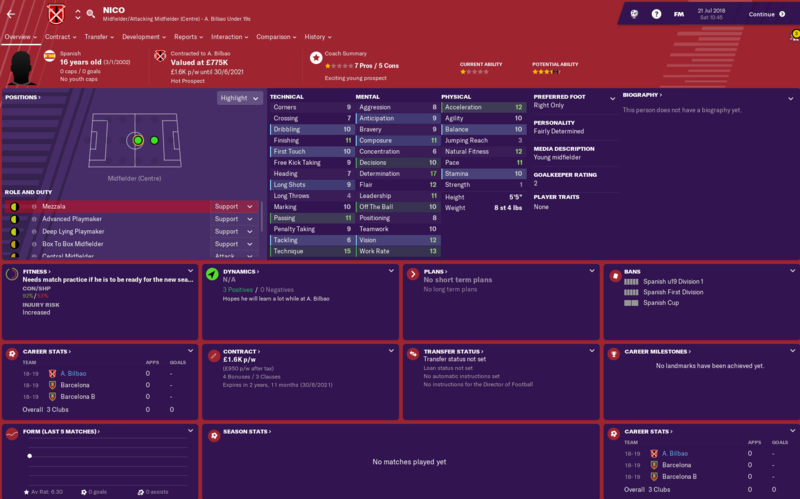 I'm keen to try out both the scouting and the buying of players, (been out of practice recently), so with that in mind I have made our 1st signing to for a fee of £1.5M #TightArse. Pre-season went ok, but pre-season doesn't count for anything and we got beaten in the opening league game away to Eibar. That doesn't tell the whole story however as we played about half the match with 10 men after (03) Beñat (Spirited), (aptly named it would appear), was shown a straight red for a poor tackle. I fined him, (hence the achievement), and everyone who gets sent off will get fined from now on. First International call-ups. HK. Aug 2018. Yeah I know there is nobody in the Spanish senior squad, but we are quite a way off that and this is very much a marathon rather than a sprint. Some of the lads have represented Spain in the past. One of my favorite ever players, always did well for me on previous FM’s. Best of luck! Clean sheets and Victories. A.Bilbao. Sep 2018. The Leganes match wasn't pretty, but we kept a clean sheet and snuck it 1-0. The Barcelona match was brilliant actually. I had 0 thoughts of winning, (or even getting a point if I'm honest), so I rotated the whole squad except the GK and the score was still 0-0 after an hour. Messi was running riot thought and he countered against a rare attack to supply the opener, before scoring the 2nd from a direct free-kick. Valencia was an even, poor quality game and neither of us deserved to win. 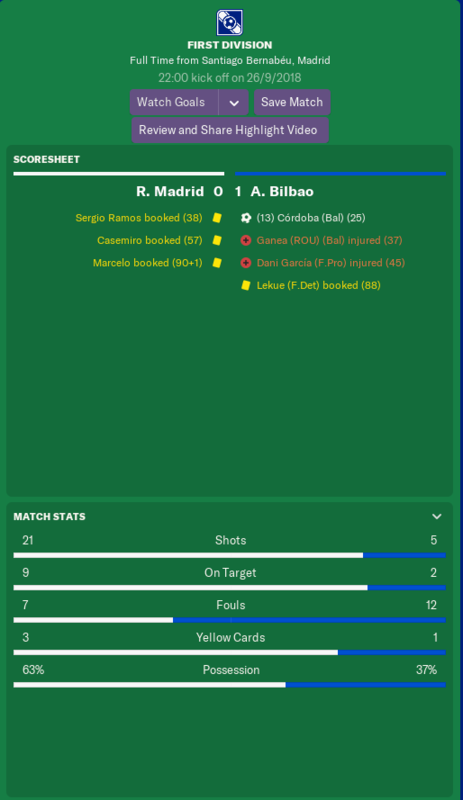 The R.Madrid game was simply immense! Our GK made 9 (NINE) saves to keep the clean sheet and still only received a 6.9 rating. (come on SI). We were absolutely battered but we scored and they didn't and I almost forgot that this was another rotated side. It was only 4 days after the Valencia game so I just rotated everyone again and they were brilliant. Lots of injuries catching up with us though. As one-sided as the R.Madrid game was, the local derby against San Sebastian, (that's Real sociedad for some reason by the way), was even more so, but this time in our favour. They had 1 shot all game and we absolutely battered them. We had 20 shots in total and 11 on target. We could have scored 5 or 6! I'm not getting carried away. I know the board want a European place of some sort. I will just be happy with whatever stops me getting sacked. I know we aren't scoring many goals but 2 of our best attackers have been out and our TM has been left a little isolated up top at times. 4 clean sheets this month is brilliant though and we even kept Barca at bay for an hour. Operation defense is going rather well. Fingers crossed he breaks this record again and again many more times before the end of the season. Thanks. I must admit I had never heard of him but I properly love him. Obviously made him my captain too. 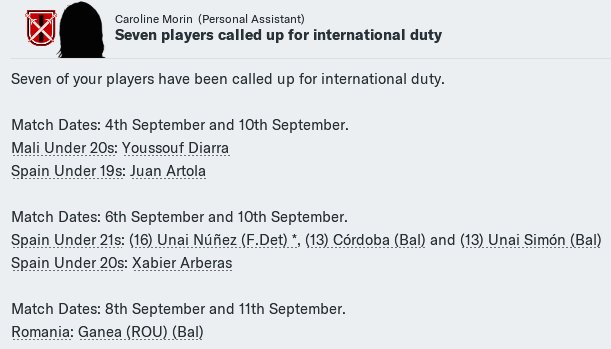 Some consider it a bit cheaty, but you can sign *any* 16 year old Spaniard, they'll instantly be regarded as Basque once they arrive at Bilbao. To be honest, I knew that and was considering it because Bilbao actually do sign kids like that. With adults its different, they have to be Basque or Basque-produced, but they will sign kids from anywhere because they then "produce" them and they are Basque produced. I'm not sure how I feel about that. I;m not prepared to sign 17 year olds like that, but the jury is still out on 16 year olds. Oops Wishing to be back in Iceland already? Haha @ToMexico! !A little bit of a Freudian slip there I think. Perfect 10.00 for training. A.Bilbao. Oct 2018. Don't worry, I'm not going to post video's with every update again. This is the 1st time I have seen a score of 10.00 for training. I have also just noticed that to the right of this brilliant little feature there is the same, but for poor training. I hadn't seen it until now. It's amazing what happens when you actually pay attention. A.Bilbao. Oct 2018. We have been doing ok so, (I don't usually start well with a Beta, but I felt that there was something not quite working correctly. Yeah we were doing ok in a lot of games, but the Sevilla game here for example we were just blown away. "Why don't we do that when we are playing well?" I thought to myself. The answer is in the fine detail was the answer. This team wasn't "mine" yet. The instructions were one's that I had picked, but they were also largely pre-sets. That's not how I play. I don't play with a pre-set tactic or someone else's. Rightly or wrongly, win, lose or draw, I get the team to play the way that I wanted and if it went boobies up like Regensberg then so be it. The 1st thing I did was give my GK free-kick instructions, (although I haven't seen him take a shot yet). The next thing I did was give the full-back the freedom to bomb on and become proper wing-backs. We have an Anchor sitting in front of 2 centre-backs and that should be enough protection to allow the wide defenders to get up the pitch and create some havoc. What else..... I've got a TM on the pitch who has something ridiculous like 20 for heading, (actually it,s only 19 so apologies), and where are we aiming crosses? The back post. Well a not vey mobile TM isn't going to be there, but the little winger from the opposite flank might be. Why am I aiming at him? Right, both wingers and in fact the 2 full backs as well, just lump it in for the TM and in fact let's hit early crosses too. If this bloke is good, (he looks really good(, then let's get something out of him before he dies of old age on us, (he's 38 in Feb). You might ask at what point during the month I had this Eureka moment? Well it was about an hour into the Alaves game and we were 2-0 down at home and looking at a 3rd successive loss. The next thing I know we are camped outside their box and we have just scored 3 goals in 5 minutes and Old Man Aritz Aduriz (Perfect) is absolutely running riot. (Well he's not exactly running riot, because he's not very good at all at running, but he is certainly causing them problems that they don't seem able to cope with. We pulled back from 2 down after an hour to win 3-2 and then we went on and gave a professional performance with a rotated team against Levante in the Cup. It's amazing what happens when you put a little thought into things rather than just pressing continue. I know that we were tasked with returning a Europa league place, but I personally think we are over-achieving, especially with the injures we have had to contend with. Can't wait for them to get into the relegation zone. Well I've done my bit, (beating them at the Bernebeu). Aduriz absolutely smashing it for you mate. Keep up the good work! Brilliant, glad to see FM is still FM after all these years. The more things change, the more they remain the same. A.Bilbao. Nov 2018. 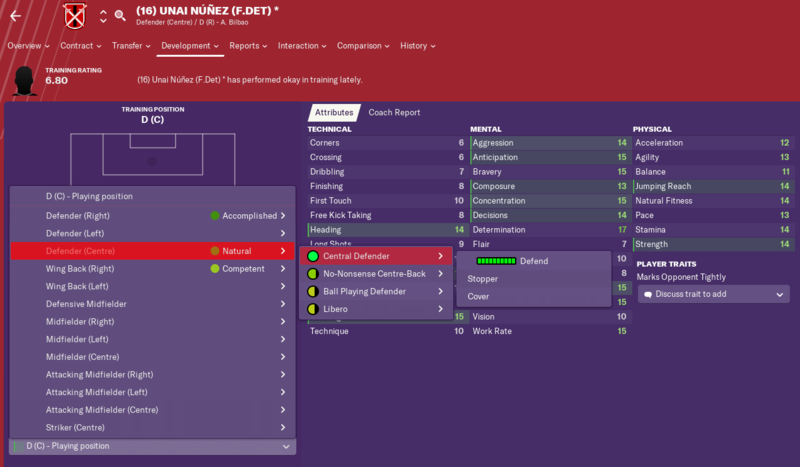 1st goal to be scored by a GK in FM19? I've just scored my 1st free-kick with a GK, went to upload the video and although it connected to my YouTube account the file was instead exported somewhere else within my files. Now it's not in my YouTube account and the game crashed. I'm a little reluctant to screw things up further. I don't think I uploaded a single video on FM18 because both teams showed up with white strips, but has anyone seen any video's posted yet for FM19? I would love to record every GK goal I score, (I think there might be a few of them in this issue), but I know that sometimes the demo is funny with stuff like this so not sure what to do. I'm going to enquire in the bugs forum, but any suggestions? I had a crash while saving in the aftermath trying to upload the goal, so I'm afraid it will have to be wiped from the record books. I think that was the 3rd full game that my GK had been on free-kick duty, and the 1st shot that I had seen him take. My old record is 187 I think, but THE record belongs to @leonavichwho's GK Luciano Canini scored 162 club goals and 52 International goal for a career total of 215 goals. Looking forwards to seeing how you get on, although I am disappointed not to have had any input in the thread title this time! Don't worry, I'm sure the keeper will get himself up and running again soon enough, what has he got for free kicks by the way? Well as he is probably the only GK on FM19 to score already, he might get something out of it. My game keeps crashing. can't get past it. 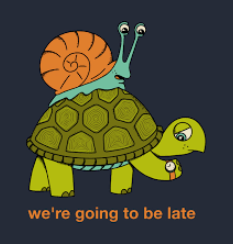 I've been having a problem with the game crashing either as we are about to go into the Huesca match or just before it. I must have played this month about 6-7 times this evening.. In the end I decided to holiday past the game/period in question and see if that solves it. (It certainly seems like it has at the moment, but the proof will be when we next go into another match. Apologies that I holidayed for a 3-0 win, but if it's any consolation I lost a few good results in the process. New President intended to appoint a new Manager. A.Bilbao. Dec 2018. 5 wins on the bounce. A.Bilbao. Dec 2018. I know we should be prioritising the league, but I still rotated the squad against league leaders A.Madrid. They way I looked at it we were unlikely to win, so it made more sense to rest the players and ensure progress in the Cup against high flying Levante, (although nothing is guaranteed). After that we won 3 league games on the bounce for the 1st time, propelling us up to a season high of 4th. It is a bit harsh isn't it. I thought I was doing pretty well, even before the recent run we are on. Not really sire what is going on. New contract. A.Bilbao. Dec 2018. Brilliant. This should mean that the President is now behind me and my job is safe. Yep, no way he is getting rid of me now. They have offered me a new 3 year contract. They have expressed their delight that I have signed the contract. But they are still considering binning me? Yep. I'm hoping that 3 years worth of a £31,500 pw contract would set them back £4,9M so that's surely too much to spend on getting rid of someone who is doing ok.
Make up your mind. A.Bilbao. Jan 2019. The transfer window opens tomorrow, (4th Jan), so I'm busy trying to sign some youngsters with decent/good PA. I have a few that have been suggested to me and particularly keen on two of them. Despite the fact that I have almost £20M to spend, we are slightly above our wage budget. I thought I would adjust the budgets to free up some cash for wages, but the President had other ideas. He's really not sold on me is he. Ah, classic Lopetegui, good to see FM being realistic. Hopefully your slightly confused board decides something soon, and by something I mean, not sacking you. Cause that would be really **** and unfair, really. He's sold. A.Bilbao. Jan 2019. This bloke was our back-up GK but had a poor attitude, was always moaning about something and his training levels were appalling. Someone had to be sold so I could collect another achievement, so this bloke was it. We are actually playing quite a conservative style, especially when our big TM isn't playing, and a lot of the big teams have lots of shots from distance against us. This was very much the case in this game. It wasn't quite as one-sided as the stats suggest, and it also played into our hands in that them attacking gave us the space to counter into and get the goal. Former favourites are backing me. A.Bilbao. Jan 2019. 2 former fan favourites at the club have supported me in the media and urged el Presidente to give me more time. I don't want more time. I want him to want me. In other news, Eusebio has actually heard of me. Ah, not that Eusebio. This Eusebio is a Spanish Manager, currently at Girona. By the way, (and I can't believe I'm going to admit this), but until a month or so ago, I honestly believed that Girona was in France. A bad egg. Jan 2019. A.Bilbao. Jan 2019. I've just sold my 1st player, (a GK who was whinging a lot and training poorly), and no sooner has he gone then I get a report that nobody in the club has trained poorly this week. Maybe it's too simple to blame him, but he's gone so damn right I'm blaming him. Uh, sorry, but the Portuguese Eusébio never played for Real Madrid neither. Anyone fancy a 92nd minute winner from a GK?. A.Bilbao. Jan 2019. This looks like we have been doing really well in the league but it's actually been a real struggle. Our squad is nowhere near good enough to be challenging near the top of the table and as soon as we get players injured we really feel it. We just don't have strength in depth and I have no idea how @Makoto Nakamuradid what he did in the 1st season of his save, (but hat's off to him). It could be that we are being too conservative and that's hindering us, but I actually think that's what is saving us. Maybe it's a little of both. You might notice from the title that the late winner against Getafe was a penalty score by our GK (11) Álex Remiro (F.Det). That should be his 2nd goal, but of course the 1st goal was wiped out after a crash. With such a threadbare squad, I rotated/rested players for both Cup games against Atletico. That we kept 4 clean-sheets from 4 league games is pleasing, but we need to be better at putting the ball in the net at the other end. I'm looking down rather than up, because as far as I'm concerned Atletico and Barca are gone. How we are still within 3 points of Barca is astonishing. Looking down, I would hope that Levante slow up a little, but I expect R.Madrid to go from strength to strength. Parking the Bus. A.Bilbao. Jan 2019. If we add our the clean sheet earned in the last game of December to the 5 more earned at the start of January, we went 6 games without conceding. I'm liking our defensive prowess, but i just wish we would give someone a good hiding.